SS. 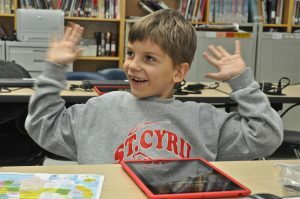 Cyril & Methodius provides a resources for parents on the SSCM website. Among the resources available will be links to text, audio and video information about technology and students. Also, beginning in the summer or fall of 2017, the SSCM Technology Committee will hold evening presentations for parents and community members covering technology topics and providing opportunities for question and answer as well. by Michael Bazzell (Author), Amber Mac (Author) (Available at Amazon.com) Excellent resource for parents authored by two experts in Internet security.